UHC Kigali staff led by H.E Oliver Wonekha joined Kabale Municipal leadership in the National Tree Planting Campaign. 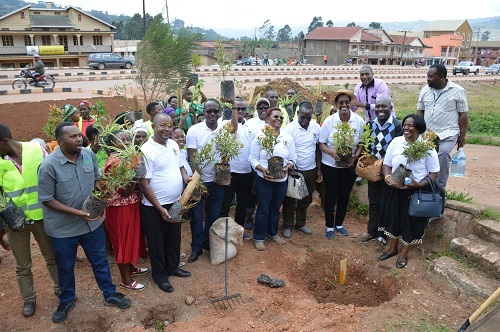 On the 21st September 2018, the Uganda High Commission Kigali staff led by H.E Oliver Wonekha joined Kabale Municipal leadership in the National Tree Planting Campaign. The Mayor, Town Clerk and all Counselors participated including the Kabale local community especially the women.